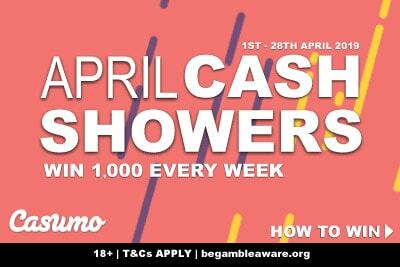 From the 1st to the 28th of April Casumo Casino is giving away £€$40,000 in cash to players willing to get a little wet. Every week 10 raffle prizes of £€$1,000 each will be handed out to lucky players who play on Red Tiger Games. 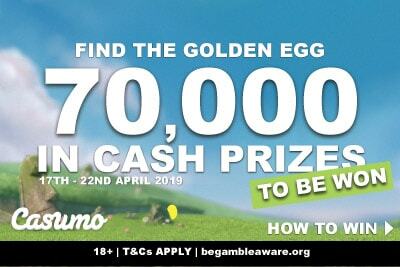 That’s right, Casumo mobile casino will be dropping £€$10,000 in cash every week until the 28th of April. That’s the kind of April shower we can enjoy. So what do you have to do to get these big wins? And what kind of odds are we looking at? More importantly, are the Red Tiger slot machines any good week by week? What are the Casumo Casino April Cash Showers? To take part in this dripping campaign, you simply have to play on the different participating games each week, beginning on Monday, ending on Sunday. These phone slot games change week to week, so if you do want to improve your chances, take a glance at the schedule of games below and make sure you are picking the right one. At the end of the week, ten random players will be chosen to get 1,000 in cash, no wagering requirements, just money they can play with or withdraw. The point of this promotion isn’t to get you to play on the Casumo Reel Races or introduce you to the multi-verse of loyalty program adventure. The reason is to get you playing on Red Tiger Games, and here’s why. They want players to know all about the Must Drop Jackpot slots from this unique game provider. What are the Red Tiger Games Must Drop Jackpots slots? Not every Red Tiger casino have these available, so don’t think that because you’ll find them at Casumo, you’ll see them everywhere else. In fact, the jackpots are all specific to the gambling site you play at, so the Must Drop Jackpots you play at Mr Green casino, for example, will be very different amounts to Casumo. Must Drop Jackpots are three progressive jackpots paying out at random times, every day, on all Red Tiger slots. They can drop at any time, for any player, but you have to have played on Red Tiger. The only thing to remember is to play the slot within the time frame of the jackpot drop. These change (so if the jackpot has already been won, it will reset for the next day) but are clearly stated in the slot window where you open up the mobile phone slot. There’s a total of three jackpots on every Red Tiger slot at Casumo, two of which generally hit every day. Must Drop Jackpot: This progressive has to drop before it hits £€$1,000, which it easily does at least once a day if not two or three times thanks to the popularity of these games. Daily Drop Jackpot: This jackpot has to drop at some point before 11 pm CET. Sometimes it drops at 3 am, sometimes at 10.59 pm. You just never know. It only hits once a day, but generally hits around 10,000 in cash, if not a little more. Mega Drop Jackpot: This works like far more standard progressive jackpot slots, in that it continues to grow and can drop any day, any week, any month. You are talking hundreds of thousands, and there’s no knowing when it will hit. 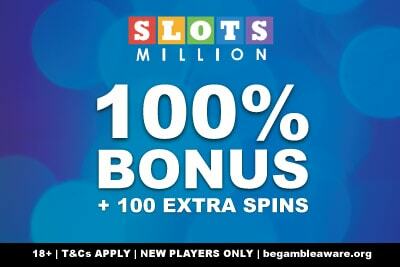 These are set apart from the 10x £€$1,000 cash prizes in this April Showers promotion. 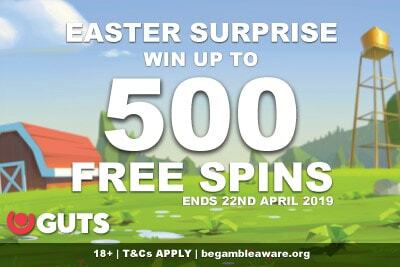 You could say that this Casino offer merely is here to educate players about the Must Drop jackpots because the prizes on these babies are far bigger and more enticing. What we are saying, is that if you want to win random big cash prizes at Casumo this week, or any week, you only need to spin on their Red Tiger Gaming slots. But, if you want a little extra incentive or an extra chance at getting £€$1,000 in your pocket, here are the April Showers games to play. We tell you a little bit about our favourite and when to play here. Masquerade slot: Our favourite is a simple 20 payline slot with adjacent pays, mystery, and mega symbols. Arcade Bomb video slot: A pretty bland low variance with 20 paylines and just one feature. Lucky Wizard online slot: Probably the favourite of the whole lot, you may not win a lot, but with five random features keeping the wins coming it doesn’t matter. Golden Offer slot game: a 3 star 40 payline game that we would happily play. This is a good list of games. Golden Temple slot online: Join Lora, the explorer as she randomly drops any of 6 wonderful features. Ra’s Legend game: Again, a really great Egyptian machine with more feature than you can shake your hieroglyphs at. Here at Lucky Mobile Slots, we like to review the best slot machines online you can play on some of the best casinos around. If you haven’t already read our new slots reviews, now is the time. Or, you know, you could go to Casumo Casino, get their great welcome bonus and try and drop a few jackpots. Go get ’em, tiger.